O&G Industries was recently awarded a $75 million contract by the State of Connecticut Department of Transportation (DOT) to build a bus maintenance facility on Frost Bridge Road in Watertown, Connecticut. The new facility will provide CT Transit with space for vehicle storage, washing, maintenance and parts management, as well as administrative and operations support. The facility will provide space for 86 buses, 162 staff and replaces the company’s existing facility on Thomaston Avenue in Waterbury. In addition to the physical building, the project includes extensive earthwork and conservation measures on the 20 acre site. These efforts include protecting a 100 year old American Sycamore tree and creating a safe habitat for the New England Cottontail Rabbits during construction. The property, which borders the Naugatuck River, will also be enhanced with numerous plantings to revitalize the landscape. 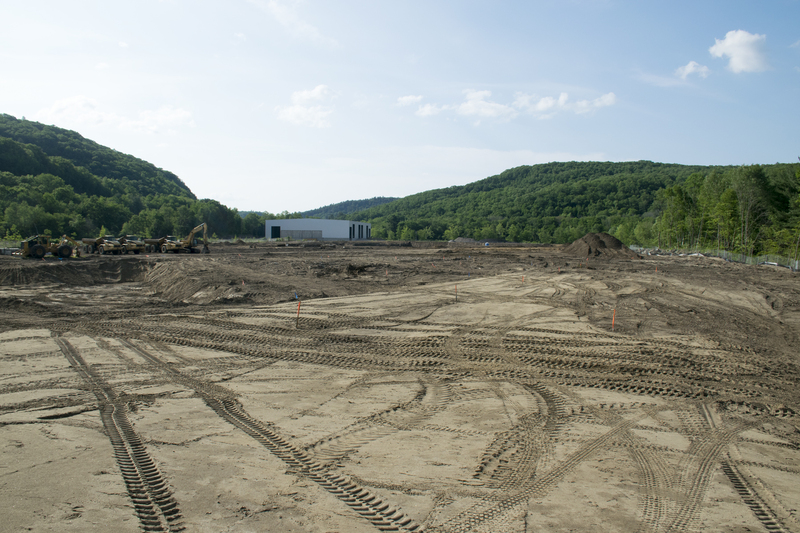 Sitework at the project began earlier this month. The project is expected to be completed in April of 2017.